Skyline is a Premier Distributor of Presentation Binding Machines, Laminating Machines, Paper Shredders, Presentation Binding Supplies & Presentation Covers. 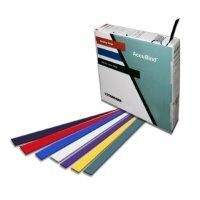 "Helping You Leave a Lasting 1st Impression"
Coil Binds are one of the most popular binding styles, and with good reason. 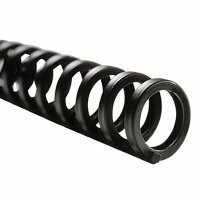 Being made of spiral shaped plastic, coils are available in every color, and can be custom PMS matched for special projects. Their spiral shape allows books to lay flat and even fully wrap back on themselves for versatility. Coil bound books can be shipped and will hold their shape during mailing. Coil binds can be used for books up to about 450 pages (20 lb paper). Comb binding is hands-down the most popular type of binding. 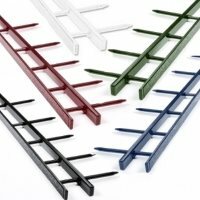 A favorite among businesses, schools, and print shops, comb binds are highly customizable and easy to use. You can get your binds printed, inked, screened, and much more with your company name, logo, or anything else you would like! Combs also give you the ability to quickly edit your documents for easy changes. 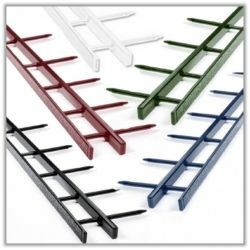 Comb binds can be used for documents up to about 430 pages (20 lb paper), and books can be laid flat for easy reading and copying. Wire Binds give a very classy and professional appearance and are often used for presentations, reports, and proposals. 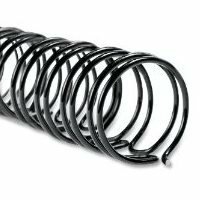 Wire binds are available in about a dozen colors, and up to 1 1/4" in size (1 1/2" is available, but only certain machines are designed for it, call us for more info). Wire binds allow documents to lay flat back on themselves (much like Coil binds), and give your document a stylish finish. Wires come two styles, 3:1 Pitch (for documents under 9/16" thick or less than 120 pages), and 2:1 Pitch (for documents between 5/8" and 1 1/4" thick or 110 to 280 pages). VeloBinds are available in two different styles. 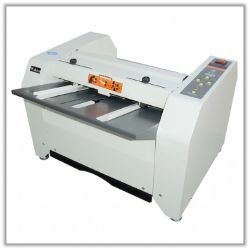 One is called Hot Knife or Thermal Knife, and is inserted into the document and then the machine. The machine then cuts off the excess of the pins and heats and permanently fuses the bind together. 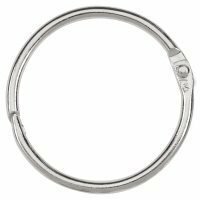 Hot Knife VeloBinds are very popular with law and legal type offices, who often need the most secure bind type possible. The second style is called 4 Pin Binds, and are inserted into the document and then the pins are bent over by hand and lock into place (easy to do). 4 Pin VeloBinds give you the ability to edit your document (a new 4 Pin strip is recommended when editing) and doesn't require the heat-style machines. Thermal Binds are a professional way to bind books, and allow for an exquisite finish. Available in both soft and hard cover styles, Thermal Binds come with a glue strip already in the spine. Once you pick one you like (keep in mind that we can fully customize them with anything you like in foil stamping, ink, or silkscreen), simply insert your pages into the book and tap it so they are up against the glue strip. Once that is done, place your books into your thermal binding machine and a few seconds later you will have a completely finished book! For hardcover books, we have a Crimp machine that squeezes the spine and ensures a permanent, secure seal. 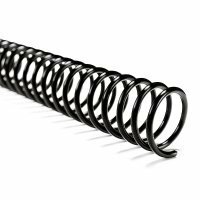 ProClick is designed as an alternative to 3:1 Wire Binding. ProClicks give a professional finish and can be edited easily. All you need to bind with ProClick is either a 3:1 ProClick or Wire Punch machine, or simply order our Pre-Punched Covers and Paper for machine-free binding! 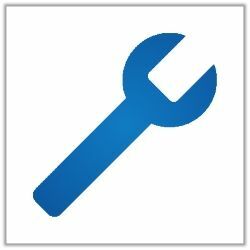 Once the holes are punched in your document (or if you have our Pre-Punched Covers and Paper), simply insert the bind into your document, and run the included tool along the bind to close it. Opening the bind is just as easy, simply flip the tool over and run it along the bind to open it! 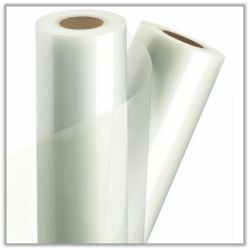 ProClicks hold up to about 130 sheets (20 lb paper) and allow for your document to wrap back on itself. This gives you an easy way to read or copy your documents anytime, anywhere. ZipBinds are an amazing new type of bind that is an alternative to Comb Binds. Whether you get a ZipBind Punch, already have a Comb Bind Punch machine, or simply prefer to use our Pre-Punched Paper and Covers, you are ready to ZipBind! With the same 19 Hole pattern that Comb Binds have, you can use ZipBinds on any Comb Document. They feature a simple open/close style so you can bind or edit your books quickly and easily. ZipBinds come in three sizes, 5/16" (up to 45 sheets of 20 lb paper), 1/2" (up to 85 sheets of 20 lb paper), and 5/8" (up to 110 sheets of 20 lb paper). Fastback is one of the fastest and sleekest binding types available. 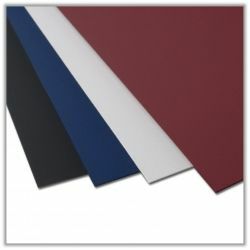 There are many kinds of materials and colors available to suit any type of document you have. 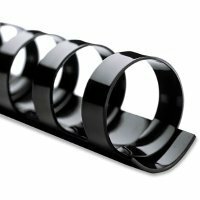 Fastback bound books are perfect for stacking, compact storage, mailing, and transporting. 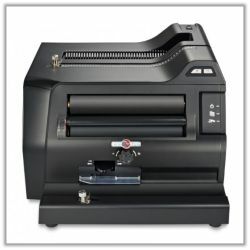 All you need to do with Fastback strips is place your documents into the machine and press the button! Fastback binds are also eco-friendly, making them perfect for you and the environment. 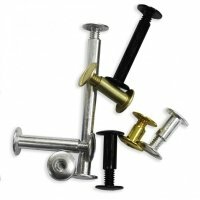 Screw Post binds are popular for swatch or sample books, albums, technical drawings, leather type materials, and much more. Available in over 20 sizes, you can bind any size document or material you have. 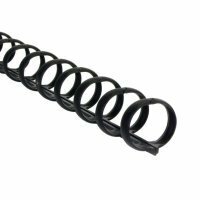 Screw Posts come in standard lengths and extensions so you can choose the perfect fit for you. Binding Rings come in many sizes, colors, and quantities. Designed to keep your documents together and secure, you can use them for manuals, guides, picture albums, swatch books, samples, and much more. If you have a special size, color, or are interested in quantity discounts, give us a call at 1-866-455-9900 today! 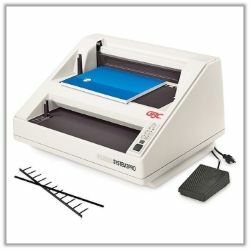 Skyline Book Binding Machines & GBC Supplies is a fast-growing company founded in 1998. We are a major distributor of high-quality document finishing equipment and supplies. We specialize in providing professional book binding machines, coil binding machines, lamination, and much more. We proudly distribute General Binding Corporation (GBC) binding supplies, the world’s leader in laminating and binding equipment and supplies. Our goal is to help you accomplish your personal, professional, and business needs with the best document finishing equipment possible. We believe important documents and presentations deserve to be properly protected and secured and we sell GBC binding equipment and presentation binding supplies for that purpose. Our highest priority is our valued customers. We are dedicated to providing the best customer service and ensuring your complete satisfaction with your product. We purchase in bulk straight from manufacturers. 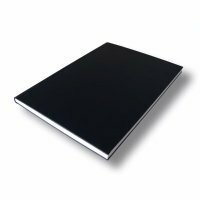 This allows us to offer our presentation binding products and GBC binding supplies at the most competitive price possible. 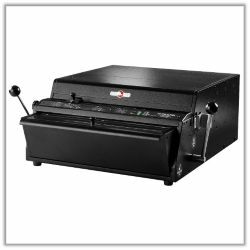 At Skyline Book Binding Machines, our knowledgeable staff would be happy to assist you with any questions you have purchasing book binding supplies, finishing equipment, and GBC binding supplies. Contact us today by calling 1 (886) 455-9900 or sending an email to customerservice@onlineskyline.com with any questions regarding our presentation binding supplies. 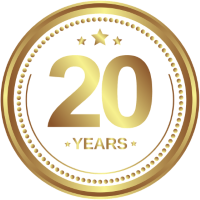 * We are dedicated to providing our customers with the best personal customer service and complete 100% satisfaction with their new document binding equipment, binding supplies, and document binding services. * Satisfaction Guarantee - Easy Returns, we guarantee all of our products and will replace any defective merchandise. 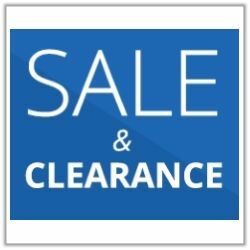 * Great Prices - We buy in volume direct from the manufacturers, to give you the most competitive pricing. * Fast Shipping - We ship from the closest warehouse in your area to ensure timely delivery. * Warehouse locations: New Jersey, Illinois, Virgina, Texas, Missouri & California. * Knowledgeable Service - Our staff is knowledgeable in Graphic Arts, Book Binding, Finishing Equipment, GBC Binding Supply, and all sorts of Document Binding Services.